Summer Bootcamp - Classes under $10!! June is tomorrow! It is one of my most favorite months of the year. As I write this it is finally sunny outside and I am excited for bootcamp more than ever before! June marks the end of school and the beginning of summer. It is the PERFECT time to take back control of your schedule and fitness! Bootcamp is just what the doctor ordered! You will get an awesome workout in a short amount of time, less than 1 hour a day, and you burn optimum calories, up to 17 calories per minute (and I have seen studies where it is more)! It truly has all the elements you need to reach your weight and fitness goals. Take control, make a commitment, be consistent each week, control your eating with one of my clean eating programs, and reap the rewards. As your trainer/coach I am here to push you beyond what you feel are your limits and help you achieve the ultimate "you!" I promise to bring energy, enthusiasm, and FUN to each bootcamp. If you agree to bring your best each day, magic will happen! Classes are offered every day of the week either early morning (Sunrise Bootcamp) or mid morning. M,W, and F is the Sunrise Bootcamp from 5:45am-6:30am at the Settler's Glen neighborhood park. Settler's Glen is off of Boutwell and Manning, west of downtown Stillwater. T and Th is the mid morning bootcamp from 8:30am-9:15am at Pioneer Park in downtown Stillwater on North 2nd St. overlooking the St. Croix River, it is just beautiful! The mid morning bootcamp is perfect to bring your kids (kids that are old enough to play on the playground as you workout). I will also offer 1-2 Saturday bootcamps at Pioneer Park per month (varies each month, see the calendar). Registration is easy. You can register via PayPal here or you can write a check and bring it with you to class (make it out to Kim Maxwell). Memberships are month to month so you are only committed to one month at a time. If you are brand new your first week is FREE! 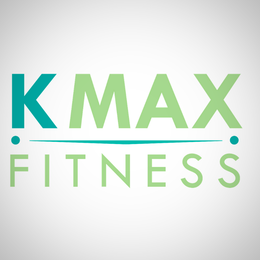 Please contact me before you show up for your free trial week at kmaxfit@gmail.com. Most packages break down to $8.50/class. This is an awesome price! Look around, you won't find many worthy bootcamps at this price. I want to reach as many of you as possible and I don't want price to hold anyone back. Monthly Membership Options: 4 classes per month, 8 classes per month, unlimited classes per month, and drop ins. You can come to any class I offer just so you don't go over the number you purchased for the month. I also have a punchcard for 8 classes that is good for 3 months. It is perfect for someone who travels a ton and can not come consistently. Bootcamp is going to challenge you, change you, and make you feel awesome all at the same time! I hope you take me up on the FREE trial week and see what it is all about.